Buying your Empire State Building tickets before you go to New York saves you time. The Empire State Building is one the most famous buildings in New York, and with valid reason: from the 86th floor you have an incredible view of the city. 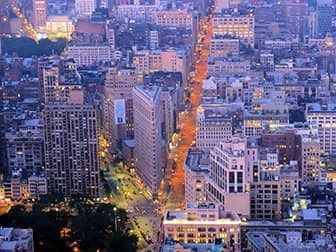 If it’s your first time in New York, then this should definitely be on your to-do list! When buying tickets, you can opt for regular tickets or express tickets. You can also buy a discount pass (see below) for free entrance.If you want to visit the 102nd floor, you can upgrade your tickets on site. Please note, the 102nd floor observatory will be closed for renovations until July the 29th. Eric’s Tip: After ordering your tickets you will receive a voucher that you can print out or show on your mobile device at the entrance of Empire State Building. The entrance is located at 20 West 34th Street. When should I visit the Empire State Building? You can visit the Empire State Building 365 days a year, rain or shine. It’s open from 08:00 till 02:00 but the last elevator goes up at 01:15. The best thing to do is to check the visibility before you go up. If there is little visibility that day, then don’t go up. If you want to avoid the huge crowds at the Empire State Building then I would advise going either before 10:00 or after 21:00. What is better than visiting the Empire State Building? Visiting the Empire State Building twice! Visit the 86th floor observation deck between 08:00 and 21:00 and return for a second time on the same day between 21:00 and 02:00 with discounted day and night tickets. This gives you the opportunity to admire the view both by daylight and at night, with all the sparkling lights of the city around you. Do you have a New York CityPASS? Then both visits are included in the pass. If I buy tickets online, can I come when I want? Yes. If you buy your tickets online, you can visit the Empire State Building at any time. When buying your tickets, enter the date when you think you would like to visit the Empire State Building. If your plans change and you want to go a day earlier or later (or a few days) that’s fine. You don’t need to change the ticket, just go to the Empire State Building and present the voucher. There is also an option to buy an Express Pass that allows you to skip the line. With this ticket you’ll have privileges at the ticket and security line but it’s more expensive. I would only pick this option if you don’t have a lot of time and want quick and easy access to the Empire State Building. 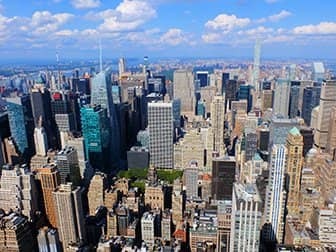 Can I use a discount pass for the Empire State Building? Yes. 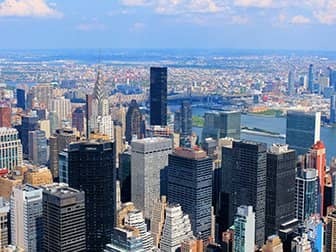 If you buy a New York Pass, an Explorer Pass or a New York CityPASS you will be able to visit the Empire State Building. You don’t need to go on a specific date, or reserve to go up to the tower. Your pass does need to be valid, of course. The Empire State Building is great to visit at night, the Top of the Rock a little less as Central Park is not illuminated. 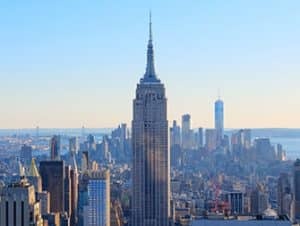 If you have a New York CityPASS or the exclusive day and night admission tickets, you can visit the Empire State Building once during the day and also come back at night. Single tickets don’t have this option! If this is your first time visiting, then it is worth listening to the audio tour that you can get for free. Bypass all the waiting in line with this Empire State Building express ticket for the 86th floor. The Express Pass gives you priority access to this viewing platform. After visiting the observation deck, continue on to STATE Grill and Bar, a restaurant situated on the ground floor, where you can enjoy a three course dinner. A unique experience at the Empire State Building is to visit at sunrise, before the doors are open to the general public. 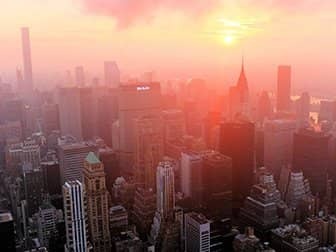 In the early morning you take the lift up to the observation deck on the 86th floor and see the sun rise up over New York. This special experience is only available for a maximum of 100 people per day and only on specific days. So book well in advance! Bypass all the waiting in line with this Empire State Building ticket for both the 86th and 102nd floor. The Express Pass gives you priority access to both viewing points of the building. After visiting the observation decks, continue on to STATE Grill and Bar, a restaurant situated on the ground floor, where you can enjoy a three course dinner. 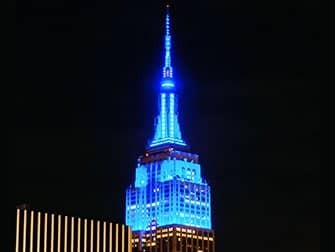 What are the Empire State Building Lights? The Empire State Building has LED floodlights than can illuminate the building with 16 million colour combinations. The tower’s lights are changed to reflect the various events and holidays throughout the year. On a regular day you’ll see the Empire State Building’s signature white lights. On Independence Day, the tower is red white and blue. Because of these lights, each experience of the Empire State Building at night is unique. Eric’s Tip: I personally think that the Top of the Rock is nicer, but if it’s your very first time to New York then this is a must. If you plan on seeing a number of attractions, then get a discount pass as it’ll save money and time. If you’re looking to propose on the Empire State Building, then do so Thursday through Saturday as there will be a live saxophonist from 22:00 onwards.